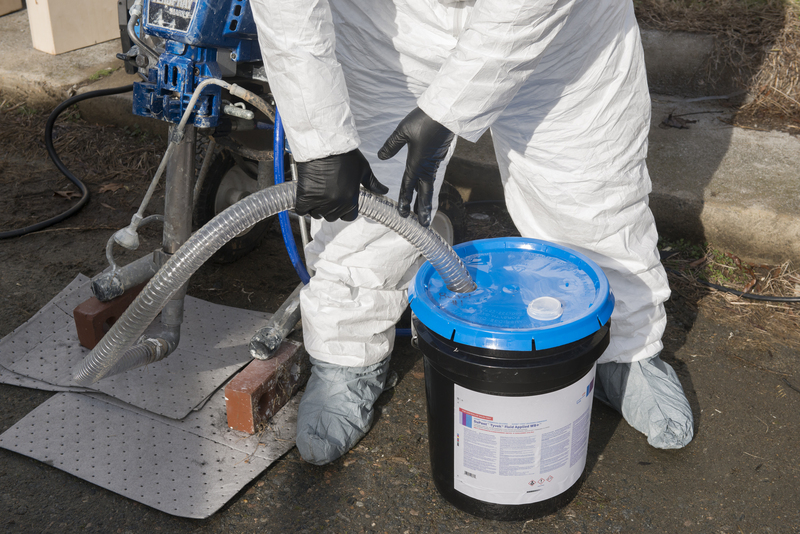 Our system approach allows installers to have a fluid applied membrane, a fluid applied flashing and joint compound, along with sealants that are all compatible and install seamlessly together in the field. 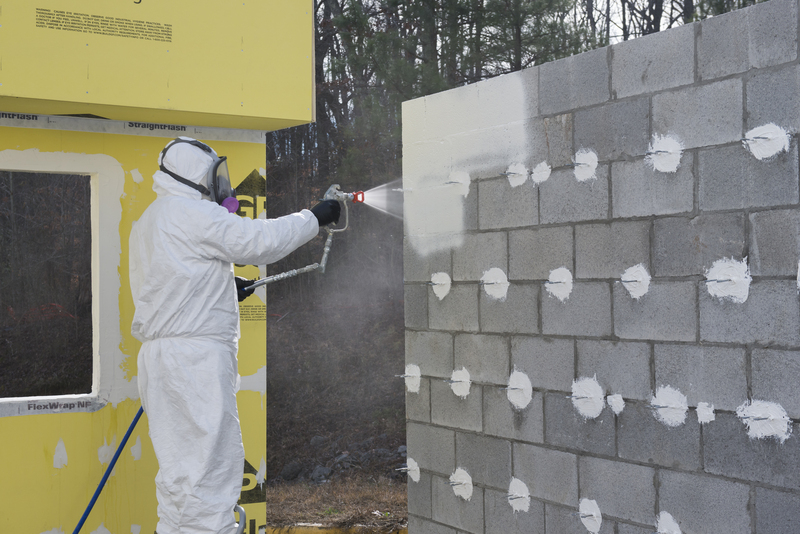 DuPont Protection Solutions (DuPont) today announced DuPont™ Tyvek® Fluid Applied WB+™ System, the next generation of fluid applied air/water barriers in the portfolio of DuPont Building Envelope products. DuPont has taken the industry-leading performance of traditional DuPont™ Tyvek® Fluid Applied products and developed a DuPont™ Tyvek® Fluid Applied WB+™ System, combining superior air and water barrier and industry-leading vapor permeability, into a reformulated fluid-applied membrane for ease of use on most commercial substrates. 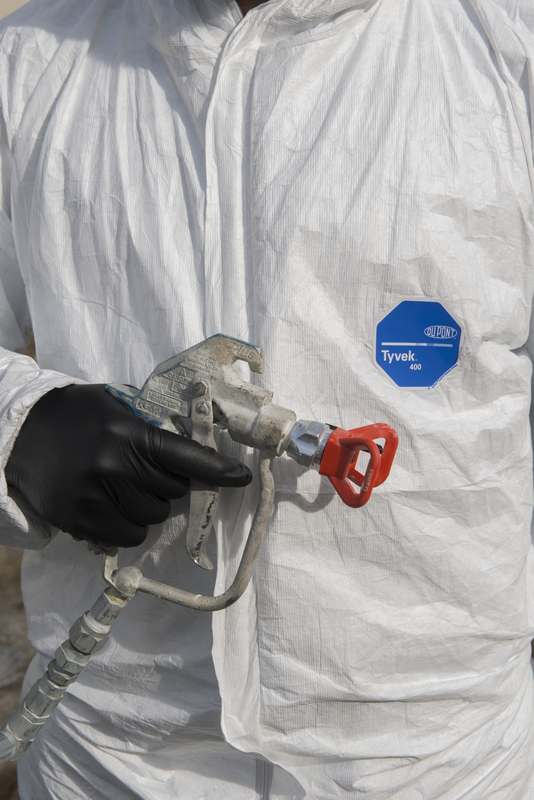 DuPont™ Tyvek® Fluid Applied WB+™ System offers features not available elsewhere in the industry. Providing an ideal combination of air and water holdout, the reformulated innovation boasts some of the highest vapor permeability among the competition at 22Perms. Applied by typical spraying equipment, the product is installed in a one-coat lift of 25 mils, thus saving valuable installation time, and providing up to two and a half times as much coverage per gallon as competing products depending on the wall substrate.” Additionally, the combination of STPE Technology and high solids content allows DuPont™ Tyvek® Fluid Applied WB+™ System to move with the building. This technology helps enable low membrane shrinkage, high elongation, and elastic recovery, unlike other fluid applied materials that shrink during curing and crack over time. Enhanced durability provides architects, general contractors and Building Envelope Consultants a DuPont™ Tyvek® Fluid Applied WB+™ System that can perform well, in most extreme conditions. Withstanding nine months of UV exposure, the product helps enable flexibility needed in construction schedules. 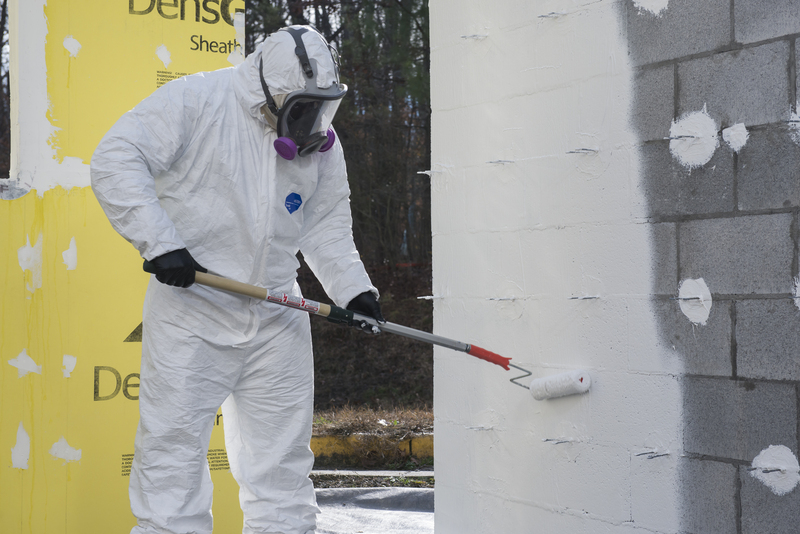 The Fluid Applied system can be installed in temperatures as low as 25 degrees, and since it is moisture cured, can even be installed when precipitation is in the forecast., DuPont backs the DuPont™ Tyvek® Fluid Applied WB+™ System with a 10-year limited warranty and employs the Certified Installer Program on the correct installation of products. 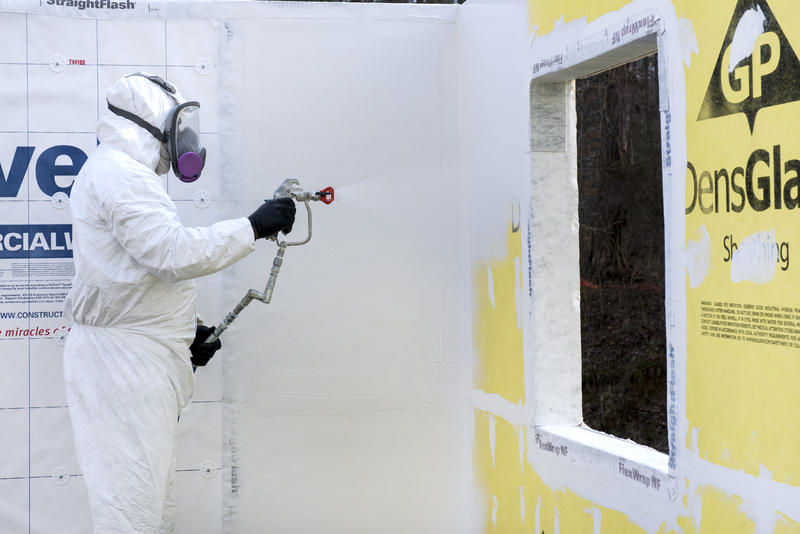 DuPont™ Tyvek® Fluid Applied WB+™ System helps prevent air and water leakage at the vertical walls of the building envelope, allowing for more sustainable structures through enhanced energy efficiency and can provide protection from mold and mildew. The system holds a shelf-life of 12 months from the time of manufacture and is easily cleaned with mineral spirits and common citrus-based cleaners. DuPont Protection Solutions is a global leader in products and solutions that protect what matters – people, structures and the environment – and enables its customers to win through unique capabilities, global scale and iconic brands. DuPont™ Kevlar® helps protect law enforcement officers, military personnel, athletes and astronauts; DuPont™ Nomex® helps protect firefighters, industrial workers and race car drivers, as well as mass transit and wind energy systems; DuPont™ Tyvek® helps protect chemical industrial workers, as well as sterile medical devices and building construction; and DuPont™ Corian® resists the growth of bacteria to help protect hospital patients against infection. The DuPont Oval Logo, DuPont™, For Greater Good™, Kevlar®, Nomex®, Corian®, Tyvek® Fluid Applied WB+™, Tyvek® CommercialWrap® and Tyvek® CommercialWrap® D and Tyvek® are trademarks or registered trademarks of E.I. du Pont de Nemours and Company or its affiliates.